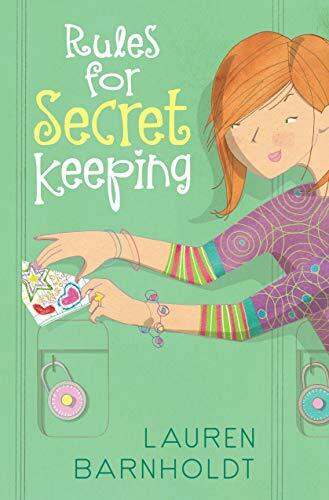 Samantha Carmichael has made a business out of shuttling secrets—drop your secret and a dollar into locker #321, and it gets anonymously delivered without being read. Samantha ensures confidentiality and discretion, and her gig is so successful that You Girl magazine has named her a finalist for Tween Entrepreneur of the Year. But when her classmate Olivia starts a secret-passing business of her own, Sam learns that imitation is not always the sincerest form of flattery. And when a secret leaks out that puts Sam’s own clandestine crush at stake, the battle of the businesses gets personal. In kindergarten, Eric and I got seated next to each other by accident when the teacher thought I was a boy, since they’d mistakenly printed “Sam” on the class list instead of my full name, “Samantha.” Eric didn’t want to sit next to a girl, so he burst into tears, and then I burst into tears, and Eric felt so bad that at recess he picked me a dandelion flower and asked me to marry him. Ever since then, he’s been kind of like my stalker. But not the really crazy kind you have to get a restraining order against or anything. More like the slightly obsessive, slightly annoying kind you roll your eyes at and try to tolerate. The Scandalous Skateboard Incident (or TSSI for those who aren’t freaked out by anagrams that may or may not remind them of diseases) happened at the beginning of the summer, right before Jake left for camp. One night, he invited me and Daphne over to his house to skateboard. This wasn’t the scandalous part—Jake was always inviting Daphne and me over to skateboard, although none of us actually skateboarded except him. Usually we’d sit on his porch and read magazines while Jake constructed some sort of ramp or obstacle course in his garage. Then Jake would emerge and try to do stunts on whatever sort of contraption he’d built. Anyway, on the day of TSSI, Jake was in his garage building a ramp out of some drywall and a traffic cone that he said he’d ordered off the internet, but that I think he stole when he got his driveway paved in the spring, and Daphne and I said we were leaving, because we were bored of reading magazines. And then Jake said, no, no, the ramp was done, and we should all go out into the road and watch him try it out. Daphne and I agreed, since we actually do like to watch Jake skateboard (he always does lots of tricks and flips and then we get to give him a score on a scale of one to ten, kind of like Olympic judges), we just don’t like waiting around while he builds things. So we all traipsed out to the road, and Jake set up the ramp, and after a few times of having to move it since cars were coming, we had it all set and ready to go. And Jake started off down the street so he could build up speed, and he came racing toward the ramp, and then he went up, up, up, and jumped a little bit in the air to grab the bottom of his board, and then floated down to the ground and skated to a stop right in front of us. It was amazing, exactly like something you’d see on one of those crazy extreme sports shows on TV. So then I said that I wanted to try it, and Jake and Daphne both gave me a look, because I am very uncoordinated and also because I had never once shown any interest in skateboarding. But Jake also looked impressed, and so I got on the board, but when I went over the ramp, I got thrown off somehow and ended up on the pavement with a scraped elbow and a slightly bloody lip. Jake and Daphne rushed over, and when I looked up, I don’t know what it was, but Jake was bent over me and the sun was shining, making a halo of light behind his head, and he looked so cute and concerned, and something started in my heart and I knew then that nothing would ever be the same. Okay, so that’s dramatic, but I knew that I liked him, at least. But then I had to go home because I was bleeding, and Jake left the next morning for camp and I haven’t seen him since. Daphne says maybe the only reason I think I like him is because I had a brain injury when I fell off that skateboard. Our locker and homeroom numbers were sent to us over the summer, in an effort to “limit confusion on the first day of school,” and so all around us, kids are running up and down the halls, looking for their lockers. All the elementary schools in the district feed into Millboro Middle School, but so far, except for Daphne, I haven’t seen one familiar face. Daphne and I survey the chaos in front of us, searching for people we know. “Oh, look!” I say. “There’s Ronald Hughes!” We watch as Ronald Hughes, a kid from our elementary school, runs down the hall, screaming, “Welcome to middle school!” and making ape noises. Hmm. Not exactly the best representation of our elementary school, but whatever. “Wow,” Daphne says. “He really does sound like an ape.” Ronald adds a stomp to his routine, and now people are actually moving out of his way and staring. I can’t help but feel a little bit of pride. I do know him, after all. I look down at the flyer. 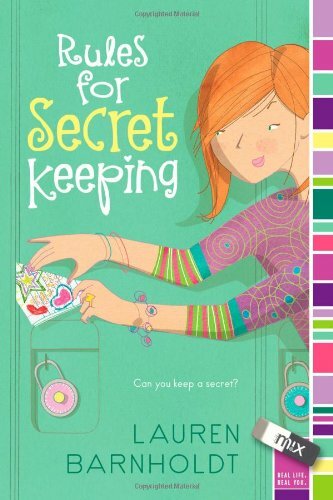 HAVE A SECRET YOU JUST NEED TO GET OUT? IS YOUR BEST FRIEND’S NEW BACK-TO-SCHOOL SHIRT A TOTAL FASHION DON’T? WANNA ANONYMOUSLY TELL YOUR CRUSH YOU LIKE HIM? Please do not forget to specify a name, as it is impossible to deliver secrets without knowing who they are for. To ensure confidentiality, you may want to consider disguising your handwriting or printing your secret from a computer. “These are awesome!” I squeal, running my finger over the navy blue letters. Last year, in sixth grade, I started my own secret-passing business. Basically, kids would leave a note in my locker along with a dollar, and I’d pass the note to whomever they wanted. I never read the secrets, and it was totally anonymous. By the end of the year I’d made enough money to buy myself an iPod and pretty much a whole new wardrobe. “Can’t,” I say. “I’m going into the city for my photo shoot.” Recently I found out that I’m going to be featured in an upcoming issue of You Girl magazine (motto: America’s number one tween magazine) as one of the finalists for its Young Entrepreneur of the Year award. My dad entered me in the competition a few months ago, and last week we got the call that I made it through to the next round. It’s supposedly this really big deal, with a big banquet in a few weeks to pick the winner. I’m excited, but it’s also a little nerve-racking. Last year’s winner sold cloth bracelets or something to help the situation in Darfur. All I do is pass scandals and gossip. So not the same thing. “I’ll call you later, then,” Daphne says. Then she grabs my arm, looks me in the eyes, and says, “Good luck” very dramatically before turning on her heel and heading in the direction of her homeroom. I take a deep breath and turn toward my own homeroom, room 167. Here goes nothing.